Otonabee Region Conservation Authority has upgraded the Flood Watch issued on May 2 to a Flood Warning. A Flood Watch remains in effect for the Lower Trent Conservation. A Flood Warning is issued when flooding is imminent or occurring. A Flood Watch is issued when the potential for generalized flooding exists throughout the watershed or for specific municipalities. The Otonabee Region Conservation Authority (ORCA) has upgraded the Flood Watch issued on May 2 to a Flood Warning for the Otonabee Region Watershed (Kawartha Lakes in the north including Buckhorn and Stoney Lake to Rice Lake in the south). Total amounts of rain received in the Bancroft, Haliburton, and Peterborough regions were 100 to 150mm during the month of April. Then, in the first couple of days of May, another 40 to 60mm fell. A Special Weather Statement issued by Environmental Canada’s Meteorological Services states that another 40 to 70mm is possible on Thursday and Friday before tapering off to showers on the weekend. As a result of above-normal April rains, combined with significant additional receipts in the first couple of days of May, inflows to the Kawartha Lakes from areas to the north have dramatically increased. Given the forecast for another large dump of rain starting Thursday, inflows to the Kawartha Lakes are expected to continue increasing throughout the coming days. Hence, area residents living in historical flood-vulnerable areas on the shores of the Kawartha Lakes, as well as the Otonabee River, are advised to prepare for the possibility of localized flooding. Throughout the geographical jurisdiction of the ORCA, the ground is saturated, and thereby, is largely incapable of absorbing additional rainfall. As a result, the forecasted 40 to 70 mm that will start falling on Thursday is expected to cause significant pooling and ponding in low-lying areas where there is poor drainage. In addition, local rivers (Indian and Ouse Rivers) and creeks (Squirrel, Baxter, Cavan, Jackson, Meade, etc. ), which are already flowing at rates well above normal, will continue to experience very high flows, and may even exceed their normal confines in those areas of low sidewalls and banks. Area residents located in historical flood vulnerable areas are advised to prepare for the possibility of localized minor flooding. Also, area residents as well as visitors to the area are advised to observe caution around all waterbodies and watercourses because area lakes, rivers, streams and creeks pose a serious danger due to high levels, very fast flows and extremely cold water temperatures. Dams, culverts and other water control and water conveyance structures are to be avoided at all times. Lower Trent Conservation has issued a Flood Watch for the Lake Ontario and Bay of Quinte shoreline from Grafton to Quinte West. Water levels on Lake Ontario and the Bay of Quinte are well above average for this time of year. Residents living along the shoreline should be aware of the potential for flooding and erosion. Additionally, strong winds associated with a storm event that will track through the region on today and Tuesday will bring wave heights in excess of one metre. Surge-related flooding along the shoreline is possible as well as increased potential for erosion damages from high waves. Residents should ensure personal property (boats, docks, etc.) along the shoreline is secured. Property owners are also reminded that any work along the shoreline (e.g. placement of fill, armour stone, etc.) will require a permit from Lower Trent Conservation and should call the office or visit the website (www.ltc.on.ca) for more information. Lake Ontario typically reaches its seasonal high water level in June. As rainfall has been well above normal across the entire basin, with some areas having received at least twice their average amounts, Lake Ontario and Bay of Quinte water levels are expected to continue rising through May, and possibly into June if the wet weather persists. Shoreline residents are also advised that storm events with strong onshore winds during this period will further increase the flooding and erosion potential. 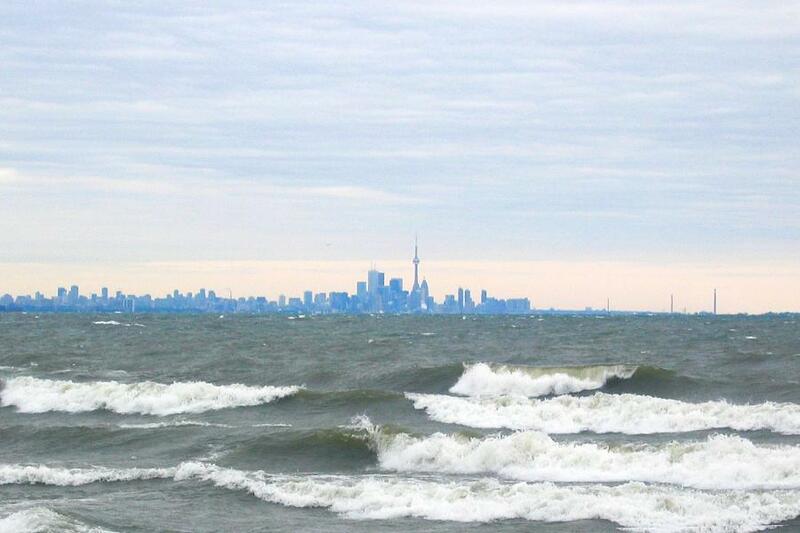 Lake Ontario water levels rose 39 centimetres (15.4 inches) since the beginning of April. The lake level measured at Cobourg is approximately 75.5 metres above sea level which is 60 centimetres above the long term average for April. This Flood Watch will remain in effect through the month of May.